Mary Ann was born and raised just a little ways away in San Antonio. 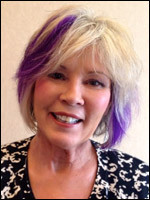 She began her career within the hair industry 34 years ago and specializes in color and corrective color. Hair design allows her to fulfill her love of impacting people’s lives physically, mentally and spiritually. Her faith in God, love for her family and unending passion for the hair industry are her three most important things. Another love of hers is volleyball but at this point in her life, she can’t play very much. Mary Ann is proud to be part owner of a salon whose main priority is to not only listen, but hear the needs of their clients, which aids them in standing apart from the rest. She looks forward to the opportunity to exercise their philosophy on each and every client. 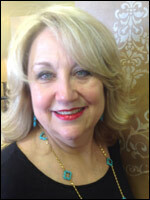 Luchyne hails from Wisconsin where she owned her own salon for 18 years. She began learning the art of hair design at the young age of 16 and has continued to develop her passion for the industry. For years, she participated in numerous competitions and even won 1st place Avant Garde in Chicago . She loves cutting, coloring and styling all types of hair and enjoys keeping up with the latest trends and fashions. Originally from New Jersey, Suzanne and her family now call Austin home. As a young girl she dreamed of being a fashion designer but decided to work with another kind of fabric… hair. She received early exposure to hair design through Vidal Sassoon in New York and from there her passion for the beauty industry was born. She has done hair for photo shoots, weddings, and of course, you can find her behind the chair at Catena & Company. Though you won't see her wearing many flashy accessories, Suzanne enjoys designing beautiful jewelry, creating interior design or redesigning your look. Born and raised in Nebraska, Tiffani always knew she wanted to work with hair. Whether it be teaching her father to curl her hair in kindergarten or giving her sister a bob while in high school, she was ready to do hair! 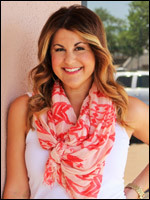 Initially, Tiffani pursued a career in marketing, but had to follow her true passion in the hair industry. Soon after finishing Cosmetology school in St. Louis, MO, Tiffani began her journey in Austin, where she dedicated her first year in the salon to furthering her education through a training program of both Color and Cutting. When not in the salon or pursing the latest education in the hair industry, Tiffani dabbles in repurposing aged items into something new. If your feeling a bit aged, Tiffani can bring something new to your style. Paula was born and raised in Austin making her a true Austinite. She holds her son, daughter, husband and grandsons very close to her heart and looks forward to their family gatherings. She enjoys going to the movies, the casino, reading and walking. After 43 years in the industry, Paula loves every second of it. Specializing in color, she is great at finding the perfect shade for your skin tone. 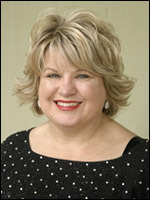 Barbara began her career in the skincare industry in 2001, while living in Las Vegas, Nevada. After 10 years she moved to Austin, Texas to be closer to family. She is a strong believer in continuing education, providing her clients with the best possible treatment, listening and caring about their concerns. 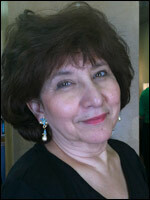 Barbara is so pleased to be a part of the professionals at Catena & Company, as the Aesthetician. She finds great purpose in her work and the services she provides. Barbara's favorite things about Austin are the diverse nature of people here and the unique restaurants & boutiques nestled in the most unlikely places! "Keep Austin Weird" is the perfect slogan for this growing city that I love and call home. Hi! 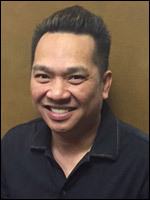 My name is Tony Tran, Austin hairstylist and owner of Newstar Salon. I can give you a hairstyle that will make all of your family and friends say you look fabulous! Since 1999, I have been specializing in cutting-edge coloring techniques, highlights and lowlights, color correction, fashion cuts, modern cuts, razor cuts, special occasion up-do’s, and styling for women, men, and children of all ages. I regularly attend training classes to stay updated on all the latest trends so that I can give you the look you want. I’m committed to listening to my clients to provide practical and personalized solutions for all hair types. My sincere devotion to my clients is evident in my willingness to accommodate your schedule seven days a week. When you are in my hands, you are in the hands of someone who genuinely cares about making you look and feel your best! I recently moved into the space inside Catena Salon located at 4534 Westgate Blvd. in South Austin. Check out my Services page for more information. Also browse through my Gallery for some samples of my work. For appointments, please call 512-293-8446. Holly is originally from a small town in Texas where she discovered her love for doing hair, especially for special occasions with family and friends. This led her to pursue a career in Cosmetology. 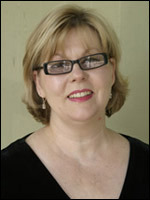 After graduating in 1988, Holly began working in a local salon where she stayed for 29 years. In 2016, life changing events brought Holly closer to her daughters in Austin. 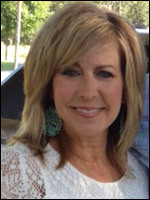 Although leaving a clientele of 29 years is never easy, Holly has been eager to restart in Austin. She loves working with color, doing highlights and has a great eye for haircuts and new styles.